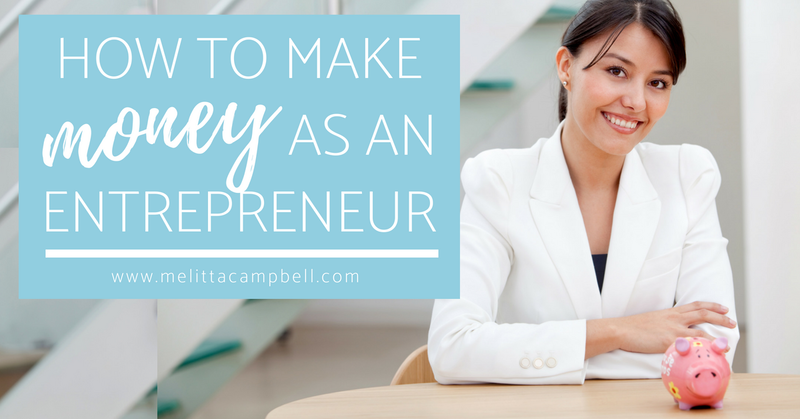 Continuing my series of posts answering the biggest questions and fears new and aspiring business owners have, today I’m covering a biggie: “Will I make money?”. This is a very real concern for many entrepreneurs when they start a business for the first time. While it’s true that you should never start a business solely to make money, it’s a fact of life that we all have certain income levels that need to be met for us to remain safe and secure. But without having a magic mirror handy, how can you be sure that your new venture will give you the income you need? While there are of course no guarantees in business, there are surefire ways to test your business idea, build a solid foundation and create a plan to ensure you gain the returns you need. In Moyak’s white paper on Why Small Businesses Fail, a lack of proper planning, understanding and consistent effort lies behind most of the reasons specified, leaving clear clues as to how to make sure you don’t end up on the business scrapheap. In this article, I’m going to share with you the questions you need to ask when you start a business to answer that all-important question – “Will I make money from my business idea?”. This has got to be your starting point, knowing exactly how much money you need to make to cover all your essential costs i.e. how much money you need to make. Then look at how much money you’d like to make over and above this. Your goal then is to plan how you are going to achieve the later, knowing that you have a certain amount of breathing space as long as you at least meet the former amount. What the person meant, is that in order to earn a million dollars or more, you first have to use your unique skills, talents and passions to make a difference and help a lot of people. Plus, if you don’t need a million, then just imagine the good you could do in the world if you invested the surplus to make the world a better place? An interesting concept to help you dream big and set big goals! At the beginning of this article I mentioned that if you start a business just for money, you are unlikely to get far. You see, money isn’t’ a great long-term motivator and lining your pockets certainly isn’t cause that clients, partners and employees can align with and support wholeheartedly. It’s a much better and rewarding strategy to create a business from the heart. Look deep and challenge yourself to identify exactly Why your business exists. What are you trying to accomplish for you and for your client? To what extent does this mission excite and motivate you? If you don’t have a strong and compelling reason to be in business, then you won’t be motivated to consistently put in the work needed to earn the income you need and/or you won’t be able to add the value your client desires and is willing to pay for. Describe the exact person you are focused on satisfying with your activities. Here you need to be sure who your ideal customer is – the criteria needs to go beyond ‘who you want to serve’, to include who is ready and willing to pay for your services. This part is key. You may find plenty of people who need your product or service, but if the benefit it offers isn’t deemed valuable enough by your customers it will never sell in quantities you need to meet to make money. It’s a good idea in business to have a clear niche, or clear segment of the overall market, so you can create products and communications that are highly targetted and therefore highly desirable and profitable. Starting with a small niche allows you to focus your energy and resources. It also allows you to build and refine your skills, products and service. Once you’ve dominated your niche and created optimised systems, you can scale-up effectively. Having said that, you need to be sure that the niche you choose to start your business in is big enough for you to comfortably meet your income goals. Ideally, to make money, you want to have 10,000 or more potential clients that you are able to reach out to using your current marketing activities and budget. Not all these people will be ready to buy from you, but you need at least that number to have enough people dropping through your pipeline to meet your income goals. How do you plan to add value? What is it that you do especially well that you are uniquely suited to provide to your customers? And how can you do so in a way that your customer perceives to be better than the competition? Get to know as much as possible about your customer’s pain points i.e. what concerns keep them awake at night. Then plan how you will solve these better than anyone else. Remember to be sure that this pain is big enough that they are willing to pay for your solution. This is a critical question to ask before you invest too much time and resources in your business. If your customer just doesn’t care enough about solving the pain you ease, they will never pay for your solution, and you will never make money. How do you plan to market to your niche? Having a great product and service is only part of the equation. You are not in business until you have clients. To build a steady pipeline of clients, you need to spend some time and energy building a robust marketing plan. I know many business owners shy away from marketing when they start a business as they feel it’s difficult, but your plan doesn’t need to be overly complicated. In fact, it’s more helpful to create a plan that is simple and that you feel confident about implementing daily. What results are you trying to accomplish? How will you know if you’ve succeeded? A crucial part of your planning will be deciding how you will measure your success. Once you are you clear about what you want to achieve and why, you can create a method of monitoring your results so that you can continually check these against your objectives and make any needed adjustments to ensure you hit your targets. Amongst your measures, you want to be sure that you are not just hitting your sales targets, but your client satisfaction targets too. A happy customer is by far the best asset your business will ever have. I’m pretty sure that you can’t just seeking to make money once but want to have consistent cash flow into your business. To achieve this, you need to treat your business like a business and consistently do the work. The bottom line is, your business will not work if you don’t. If it did, everyone would be a millionaire! This is a good time to introduce the Law of Compensation. This principle dictates how much you will get paid for what you do. We’ve already looked at how you can make sure there is a need for what you offer. If you want to increase your income, then it’s important to become really good at what you do. You want to study more, improve your habits and productivity, and learn how to communicate your value to your ideal clients. I recommend to all my clients that they do at least 10 minutes of personal development every day, and not just when they start a business, but on a continual basis. This could be watching an instructional video, reading 10 pages of self-development or business book, listening to an insightful podcast, catch up with your mastermind group…it doesn’t matter what, but it’s important to keep on working on your mindset, knowledge and skills. When you do this, the third part will come naturally. People won’t be able to imagine working with anyone else. Getting clients into your business for the first time is a game-changing moment. It’s not just exciting, it really reaffirms your value and boosts your self-belief. It’s important to keep up your good work and remain consistent. Stay open-minded to the opportunities around you, where your business starts is rarely where it ends up as you and your clients grow and evolve. Working through the above process will help you determine if and how you can make money from your business idea. But that’s just one step as you start a business and become an entrepreneur. How would it feel if you had an expert in your pocket, guiding you each step of the way so you can start a business fast and gain paying clients, without the doubt or overwhelm? That’s what you get with my 90-day private coaching program Your Business Blueprint to More Ideal Clients. Develop the Confidence you need to put it consistently into practice in a way that feels enjoyable and natural to both you and your clients. Sound interesting? Book a free 30 minutes Discovery Call with me. We’ll discuss where you are now, where you’d like to be and I’ll give you a step-by-step plan of how to get there. Drop me an email to set up a time. 10 min a day really reasonated with me. I always do my 10 min self improvement, meditation type improvement but I think I want to apply that to my business knowledge. I get so overwhelmed with everything I need to do and learn that I can either waste it on video after video or just produce and produce and then feel guilty. I think a nice balance is give myself 10 min a day to watch the videos to learn something to improve and then get to work on production. That’s great Karie, 10 mins a day is definitely doable. I often listen to an inspirational podcast while getting dressed or cooking. I’m really enjoying The Wings of Inspired Business podcast at the moment. Love this, especially the point about dreaming big (anything less than a million dollars and you’re being selfish). I’ve only started thinking about it this way recently, but it’s so true. If you want to really help others, you need to build a strong platform for them to stand on. Yes, I really believe it too – it’s really helped change my mindset, glad you like it too Sandra. Here’s to helping a million to thrive online and in business! Just retweeted your quote. The best article I have ever read on making money as an entrepreneur. Thanks Aditi, I’m really glad you enjoyed the post! This is such an eye-opening post. A lot of people (me included) start businesses without actually seeing if there is a probability to actually profit from it. I did that with my first blog. Absolutely no direction. And it was such a mess! It took me more than a year to start earning chunk change from it. But it’s a whole other world now, and I’m so glad I took the time to plan out my Blog. I love this post! I’m glad you enjoyed the post and thanks for sharing your own experiences too Angela – I’m glad you figured things out in the end, but you are right, I see so many people start a business without a clear plan, only to lose motivation and become frustrated at their lack of income and progress a few months down the line. That’s why I moved from consultancy to business coaching, to help women start a business that they love and delivers results and lifestyle they want – without the overwhelm or frustration.